Vertical Meters, Skimovie, Speedcheck, Photopoint, Bikemovie … Skiline’s products are highly versatile. With Skiline, you can create the optimal entertainment bundle for your ski resort. much more, entertainment is guaranteed! Tell your story! Link together the experiences – this will increase activity, motivation and enjoyment! Guests communicate. Take advantage of this and offer your guests digital experiences. These will be shared as an authentic message thousands of times. Guests have preferences. Analyze and understand these needs with our B2B portal and respond in a way that’s goal-oriented and efficient. 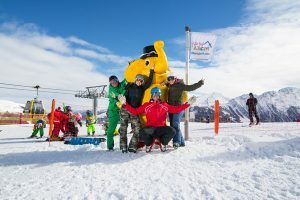 Whether Photopoint, Speedcheck or Skimovie, with Skiline your guests receive high-quality entertainment directly on the mountain. But we think one step further: Through gamification and our B2B portal, we enable community analysis as well as management, ensuring long-term success.